Jog Now 500 is a popular treadmill, suitable for use in hospitals, out-patient clinics, sports centers and rehabilitation centers to support muscle therapy and rehabilitation. It has a maximum inclination of 15% that helps you to carry out a more tougher workout. This treadmill comes with three level of safety, that help prevent the most common accident, while getting on a treadmill. Jog Now 500 also gives you the comfortable feel of running on grass. Monitor your workout progress, displayed on the LED display and stay motivated. With 30% lower energy consumption, 20% higher durability and the option to choose advanced workouts, Jog Now 500 is an investment that you'll recover quickly. The latest cost of Technogym Jog Now 500 Treadmill will be updated soon. *Note: Most of the sites, stores or shopping portals listed above sell Technogym Jog Now 500 Treadmill with discounts and other exciting offers. 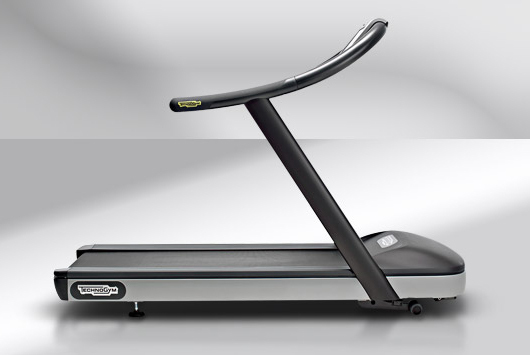 There is a possibility that the some of above websites are not selling Technogym Jog Now 500 Treadmill now. Toughtrain.com is not liable for such cases or instances. Also we do not recommend any seller for Technogym Jog Now 500 Treadmill and a buyer should buy from where he/she gets best deal with quality of products, service and on time delivery (shipment).